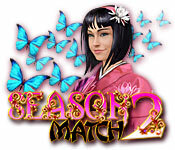 Season Match 2 is rated 3.8 out of 5 by 19. Rated 4 out of 5 by eggfooyung from Season Match 2 Developers should have provided a skip feature for some of those blasted mini games. Why didn't they? Rated 4 out of 5 by karoedk from Great fun! I am not usually a M3 gamer, I like the hidden objects better but I thought I would give this one a try. I downloaded the free hour and I am so glad I did. The colors and graphics as well as the sound and music were all head and shoulders above others I have played! It was challenging yet not so much that it was frustrating. I really enjoyed this one. Rated 3 out of 5 by tcrane from Would possibly suit young children The story line is OK but the challenge level is quite low. Rated 3 out of 5 by bessiegirl from boooooorrrring Wow, I bought this game on discount without demo because I had the first one and enjoyed it. More challenge etc. I found this one totally boring, even after switching to timed mode, which wasn't much of a challenge either. I got to the very end and what appears to be the final puzzle was nearly impossible to finish as timed and there was no way to skip it. Since the game was not a game I was really caught up in I just checked out. Odd for such an unchallenging game to have a such a impossible puzzle at the end. 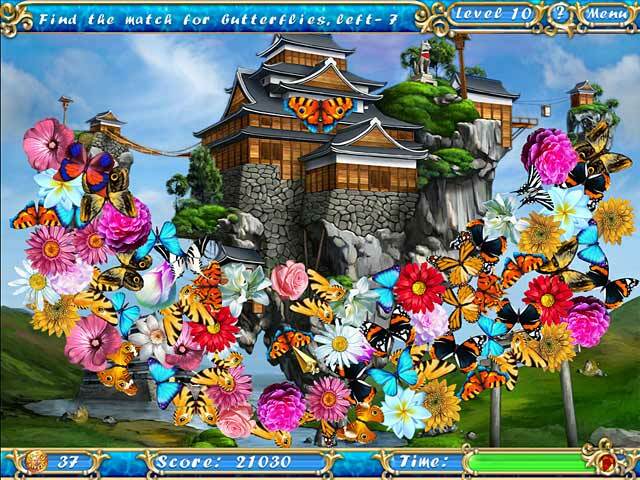 Graphics, color and animations were good, but it was just the same-o after level after level. 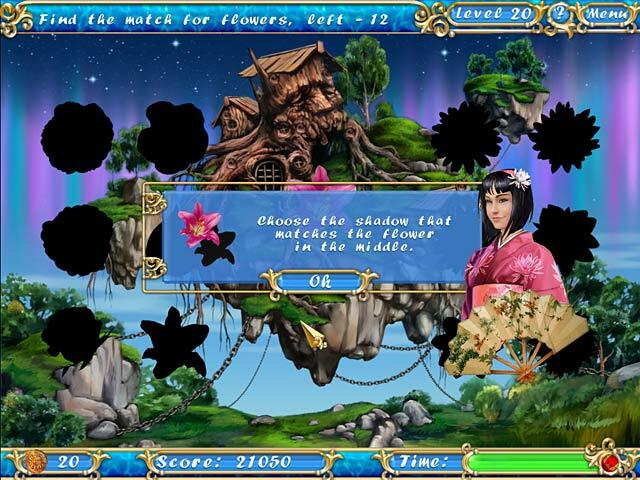 The constant dialog interruptions drove me crazy and the hidden object levels were annoying. Totally had to turn off that awful music. Glad it was on sale. As far as intriguing, challenging and fun match 3 games go, this one was a loser. Rated 3 out of 5 by carb7250 from Boring and Easy Not challenging at all, even on timed mode. Rated 3 out of 5 by FloridaGirl7264 from What a complete letdown! Let me start by saying that I LOVED the first Season Match. So I figured the sequel would be even better. Boy was I wrong! There was absolutely no challenge to this game. It was just too easy. I was so disappointed because I thought each level would get harder, but that wasn't the case. The graphics are beautiful. I can't speak about the music because I play without sound. The storyline was okay but was repetitive. 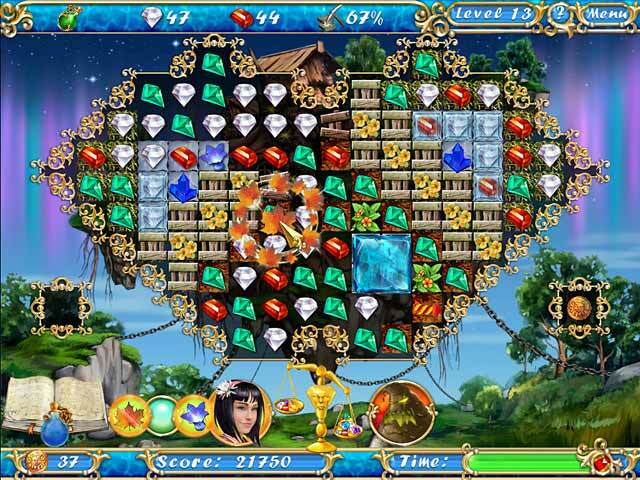 There are mini games in between levels but they were easy and repetitive. Plus, you couldn't skip through them until you played them at least once. If you failed, then you can skip the mini game. The game is very short. I couldn't believe when it was over. It only took a couple of hours to complete. So bummed it wasn't better. Rated 2 out of 5 by Kwipper from Mini-Games annoying; Not much of a challenge Version 1 of this game was fun and engaging. This version is tedious at best with no real challenge. The mini-games are annoying at best. The January Repelling Snowflakes is impossible with a touch pad on a MAC. There should be an option to bypass these types of 'mini-games'. Rated 1 out of 5 by anyarose from Loved this game, until I hated it. Had a nice relaxing time playing - I love match 3 games. And then I got to one of the mini games were you need to beat "Prince January". I've been stuck for over an hour now. The mouse cursor moves too slowly with a touch pad (I use a macbook) so you have to hover in one spot to destroy stupid snowflakes. It's basically impossible to rapidly click a touch pad, in the same position, 75 times in a row. No skips, no options to defeat it any other way. Ruined the game.